The first phase of a multi-million pound transformation of a community in Edinburgh has taken shape – and residents are delighted with their new homes. Dunedin Canmore’s 111 energy-efficient homes are part of the redevelopment of Craigmillar town centre that will see the area transformed by new homes, a new secondary school and community spaces. Cabinet Secretary for Communities and Local Government Aileen Campbell dropped in to meet tenants in their new homes and officially launch the new development. Among those she met was John Dunbar, a retired Royal Marine Commando. 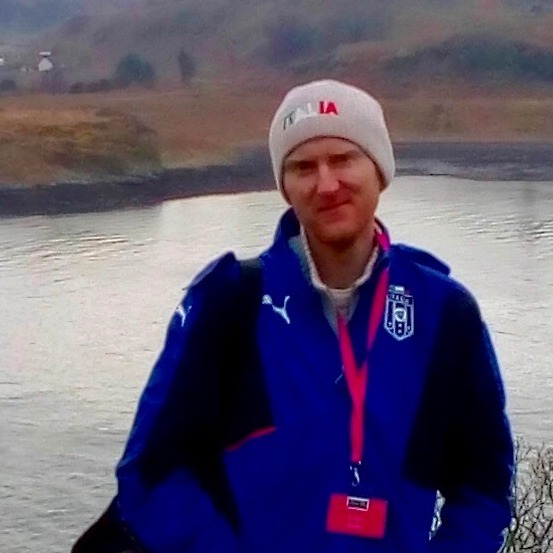 The veteran, who served as a medic in the British Special Forces, couldn’t be happier with his flat in Craigmillar town centre. John, 71, said: “Dunedin Canmore have been amazing. This place is perfect and Craigmillar is a good place to live. It’s very peaceful. I’ve been travelling for four years and this is the first time I’ve stopped and said I’m going to make a home for myself. The new homes are a mix of one and two-bedroom flats and family houses and cater for a wide range of people. There are 54 homes for social rent by Dunedin Canmore, which is part of Wheatley Group. A further 57 homes are for mid-market rent by Lowther Homes which is also part of Wheatley. Aileen Campbell, Cabinet Secretary for Communities and Local Government said: “I’m delighted to be invited here to open these new homes, which are a very welcome addition to the supply of affordable housing in Edinburgh. Making sure everyone has a safe, warm and affordable home is central to our drive to make Scotland fairer and more prosperous and this development once again demonstrates the Scottish Government’s commitment to the delivery of 50,000 new affordable homes this parliament. All the new homes meet the Scottish Government’s new energy standard (EESSH) which means they are warm, cosy and cheaper to run. Dunedin Canmore Chair Mary Mulligan said: “We’re delighted to have built so many lovely spacious homes in the new Craigmillar town centre. These new homes will provide affordable places for people to live for many years to come. “The energy efficient features will help keep fuel bills down and make sure the people living in the homes will stay warm and cosy all year round. 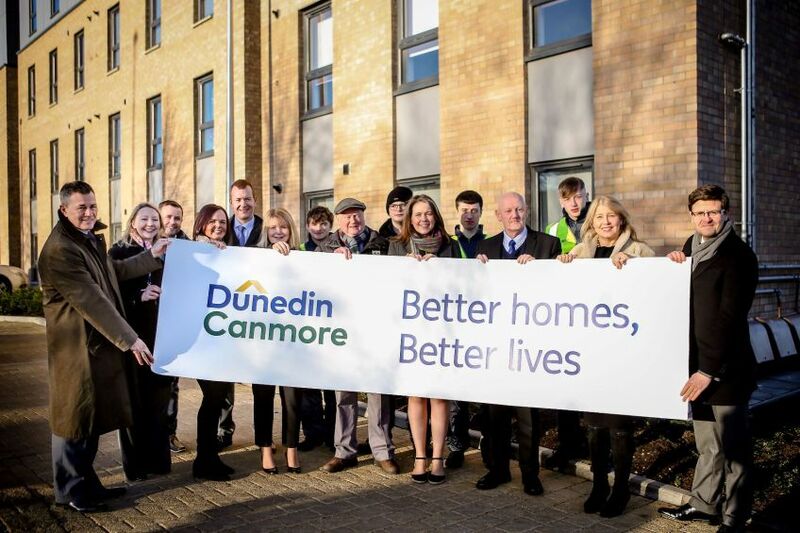 Dunedin Canmore, as part of Wheatley, is committed to increasing the number of affordable homes in support of the Scottish Government’s More Homes agenda. The housing association has already built 423 new homes in the last two years in Edinburgh and the Lothians and is currently on site building another 305. There are plans for further 83 homes approved. 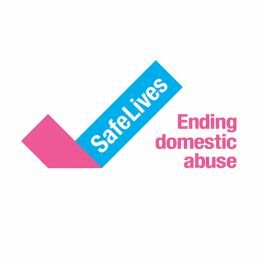 The development was part-funded with £4.8m grant from the City of Edinburgh Council. Calum Murray, Director of contractor CCG, said: “Craigmillar has very much been a home for CCG for a long period of time now and we are delighted to have not only provided modern, energy efficient housing but also a series of community benefit initiatives that has included the creation of three new jobs, the donation to local charities and the construction of a new £47,500 car park in Niddrie Mill. 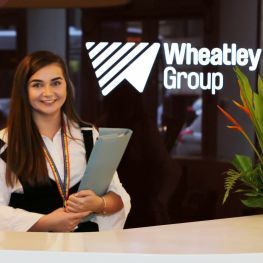 Dunedin Canmore’s 111 new homes in Craigmillar are part of Wheatley’s wider plans to build thousands of affordable homes across central Scotland over the next few years. 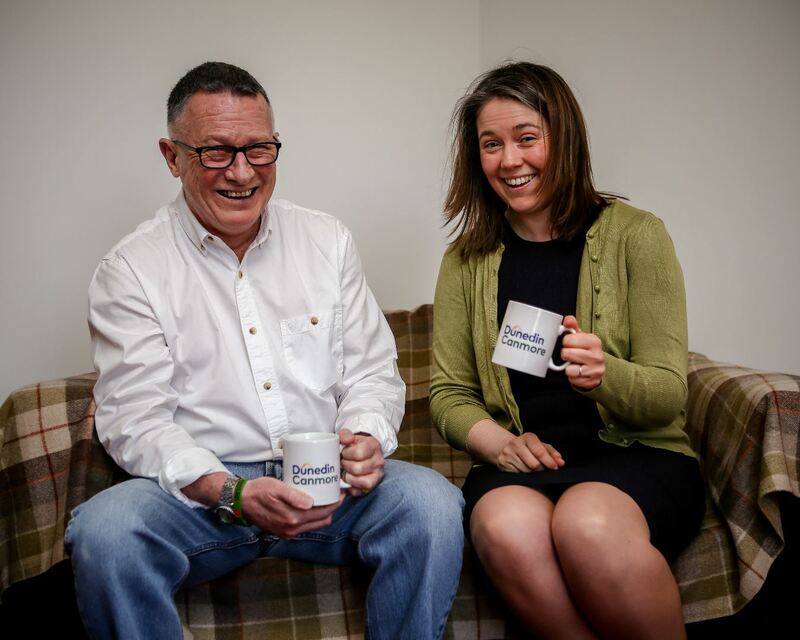 CHEERS: Tenant John Dunbar and Cabinet Secretary Aileen Campbell enjoy a cuppa in Craigmillar.